You’ve heard by now that it’s a necessity for everyone—even web professionals—to have business cards. (They help you connect quickly, they showcase your design skills, and so on.) But it’s far rarer that anyone actually tells you how to design a business card that actually works, or even cooler, works with your website. When planning your business card design, think about the colors on your website. Do you have a brand color that will make a great background? Two brand colors that can create a pattern? Or a fun accent color that could be foil stamped onto the design? When you borrow brand colors from your website, it helps create a consistent identity for your company. Websites have fun clickable icons, dropdown menus, even videos that can play. People are constantly moving around the site and doing things—whereas they typically just look at a business card. If you want to have some fun, create an interactive, shaped, or 3D business card that people can enjoying playing with or using in their offices. Whether it’s your logo, a photo from your home page, or some other graphic, you can borrow imagery from your website to create one-of-a-kind business card. This tactic also lets you make sure there’s no mistaking your business card for any other brand. These ideas are just the beginning of creative possibilities for your business card. 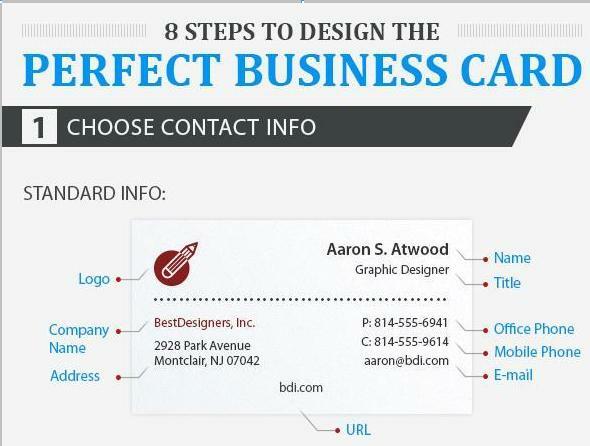 Check out more cool ways to make an effective business card.